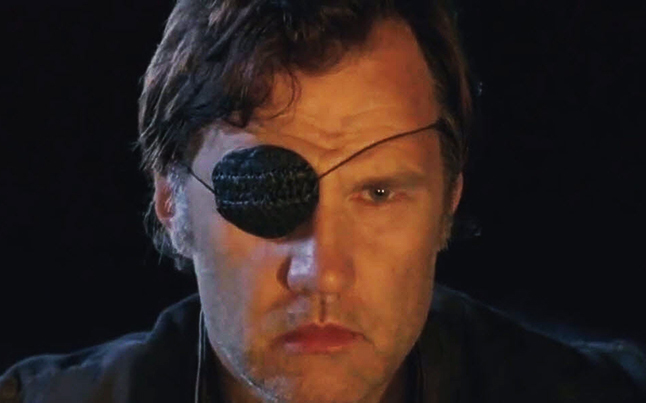 The Governor returns this Sunday in the next episode of The Walking Dead titled”Live Bait“. The Governor was last seen in season 3 after he attacked the prison and later killed most of people in his army. Season 4 has been moving along and we have yet to see, or hear from, The Governor. In fact, I was wondering if we would see him at all in the first half of season 4, but it looks like we will after all. AMC recently released two new video clips, or sneak peeks, for the episode airing this Sunday that shows that The Governor will be making an appearance this weekend. He appears to be just as crazy as we remember him, and Michonne still seems hellbent on ending his life. “Live Bait” airs this Sunday and we are about to see what The Governor has been up to since last season.